What does one do when he lacks the intellectual ammunition to win a battle of ideas? If Mark Levin provides any indication, name call and pretend the opposing point of view doesn't really exist. You can read through the entire debate between Levin and Tom Woods on war powers by following these links. I don't think any objective reader will come away concluding Levin got the better of Woods in the arena ideas. Levin did win the debate if changing the subject, clever insults (calling Woods the "outlier professor" was one of my favorites) and making broad statements lacking any supporting evidence counts as winning criteria. But it was Levin's behavior on his Facebook page after the debate that lowered him from embarrassing to truly pathetic. First he posted a hatchet piece by some blogger nobody has ever heard of accusing Woods and his "followers" of being racist, anti-Semitic and "cartoon caricatures." "LCR's Thomas Woods Has A Charlie Sheen Woody But, Alas, No Goddesses"
Clever huh? For an eighth grader. Somewhere along the way, Levin and his most rabid followers got lost and wandered into a middle school courtyard. Yell and scream the most clever insult, and you win the argument. To the grown ups, you just look like a sniveling little kid. The kind you would expect to punctuate his insult by picking up his ball and going home. Oh yeah, Levin did that too. I went to his Facebook page and posted a relatively benign comment asking why the junior high tactics, and if it was evidence of a lack of substantive argument. Within three minutes, my comment was deleted and I was kicked off the page. How sad. And I mean that in a literal sense. It makes me sad. You see, the evolution of my political philosophy wandered through Levin's universe. I spent much of my young life as a gun-ho member of the religious right, moderated to a middle-of -the-road conservative Republican and eventually settled into what I guess most would consider a moderate libertarian. If we are going to throw around labels, I prefer classical liberal. At any rate, I generally respect the mainstream conservative position. I still enjoy listening to Rush, and I admire Sarah Palin as a person, if not her politics. And while I have come to understand the dangers of right wing Statism and completely abandoned any hope of finding solutions in the Republican establishment (or any party for that matter), I feel much more affinity for the conservative position than the progressive left. So to endure insults from people I once considered part of my philosophical family feels a little like getting spit on by my cousin. It's not only nasty, but cuts a little deeper than similar behavior from a complete stranger. The whole debate shines a bright light of truth on a very ugly reality in the world of politics. 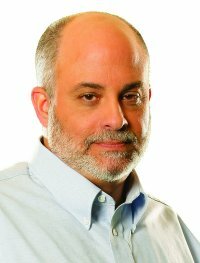 Most people on every side of the political spectrum are more interested in maintaining their "side's" position then holding to a principle.Levin talks the talk on limited government and state's rights. He even wrote a book called Liberty and Tyranny. I read it. It was actually a pretty good read. But when it comes down to it, Levin is more interested in justifying his policy preferences than truly holding to the principles of liberty. And when the two worlds clash, he runs for the school yard. Party over principle. That's not for me. I 'll stick with principle, thank you very much.